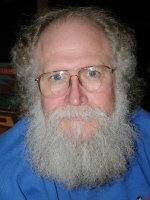 Jon Maddog Hall is one of the strong proponents of the Open Source movement. He is currently the Executive Director of Linux International, a non-profit association of groups, corporations and others that work towards the promotion of growth of the Linux operating system and the Linux community. He also serves on the board of several companies and non-profit organizations like USENIX. At some point of time in his life, he has worked as a software engineer, systems administrator, product manager, marketing manager and professional educator. In the past, he has worked for reputed companies like Western Electric Corporation, Bell Laboratories, Digital Equipment Corporation and VA Linux. Not withstanding his name, people who had the honor of interacting with him on a personal level vouch on his pleasant nature. Recently, Dahna McConnachie quizzed him on his life, the work he is doing, as well as his opinion on issues related to Linux and the open source movement, which makes an interesting read. To those wondering how he landed himself the infamous name of Maddog ;) , Jon attributes it to those times when he had less control over his temper. Great interview, forgot about MadDog, LOL. Great vision, open source is the future!